Successful minimalist bathroom designs focus on form, style and function, paying special attention to the use of clean, neutral-colour palettes, simple shapes, clever storage and stylish sanitaryware. A bathroom that follows the rules of minimalism is the perfect way to help maximise the space available. Minimalist designs are timeless, simple and understated yet they are eye-catching and sophisticated. Selecting a single, neutral colour for your bathroom creates a pure look that echoes modern design. Darker matte colours and shades of grey will work to underline the aura of simplicity whilst white is effective in both brightening and enlarging your bathroom. Using colour to unify your bathroom design scheme isn’t the only way to achieve a clean, crisp appearance; the use of singular materials will also help to reach that minimalist look. Whether it’s a specific tone of tile, marble or wood, adhering to one material will bolster the natural appearance and aid your sought-after bathroom ambiance. Particularly for smaller, bijoux bathrooms, installing shower baths and furniture with built in storage will help to maximise space and reinforce that pared back and refined aesthetic. Vanity units and mirrors with built in shelving will help to reduce unwanted clutter and create an illusion of space whilst a bath with a shower will reduce the need for large additional fixtures that require both floor and wall space. 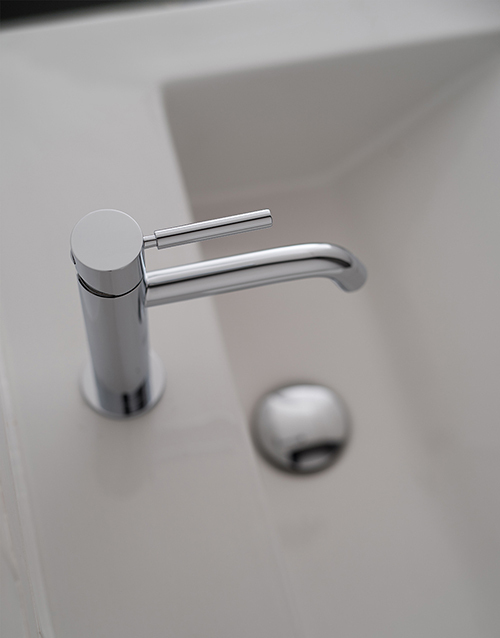 Selecting the right brassware to complement your minimal design, colour scheme and shower/basin units is also a key consideration to help complete an understated and modest look, just like selecting the right jewellery for that perfect finishing touch of a new outfit. At VADO we work to ensure our product designs are harmonious with all sanitaryware, so when you choose VADO your choice of coordinating items is unlimited. 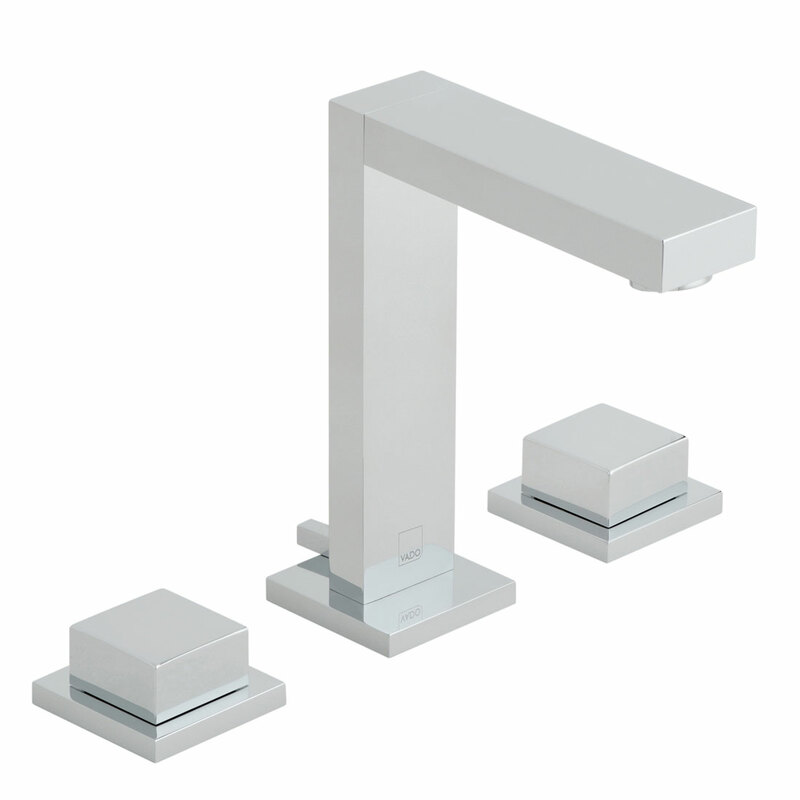 Developed to perfectly coordinate with the current trend for linear sanitaryware, three reinvigorated favourites from VADO’s slim mono basin mixer collection, Geo, Notion and Origins, are the ideal choice for a minimalist bathroom. 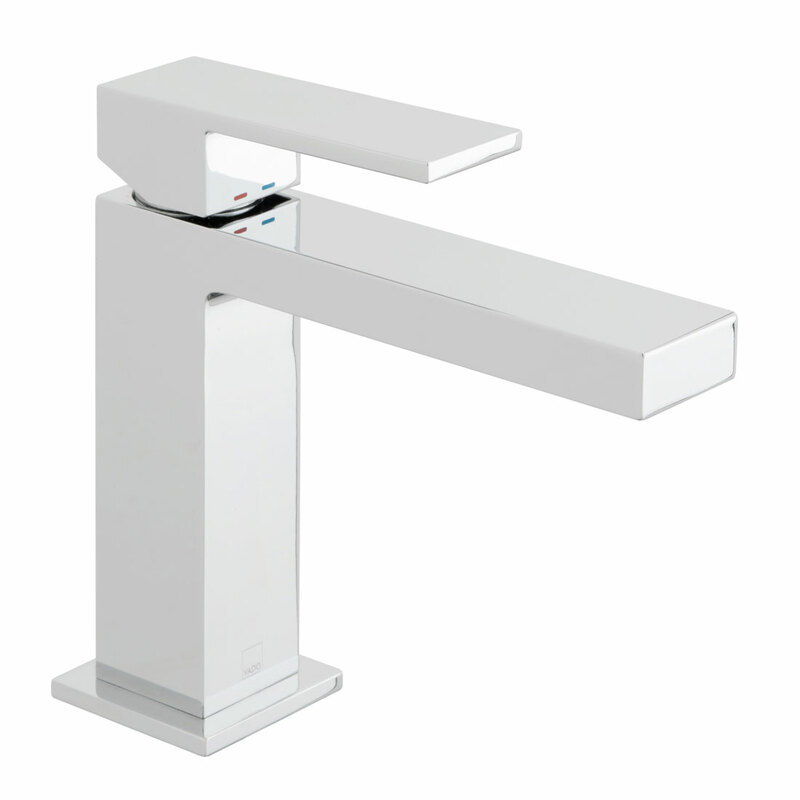 Featuring a trim body, flat surfaces, an angled spout and a unique centre lift lever handle, Geo has been truly refreshed. Notion’s eye-catching, cubic angles purely state idyllic modernity, with fashioned corners for added definition, this refined mixer is equipped for any high-end interior. Whilst Origins beautifully combines subtle contours with striking and sophisticated design details to naturally deliver a sense of effortless chic. 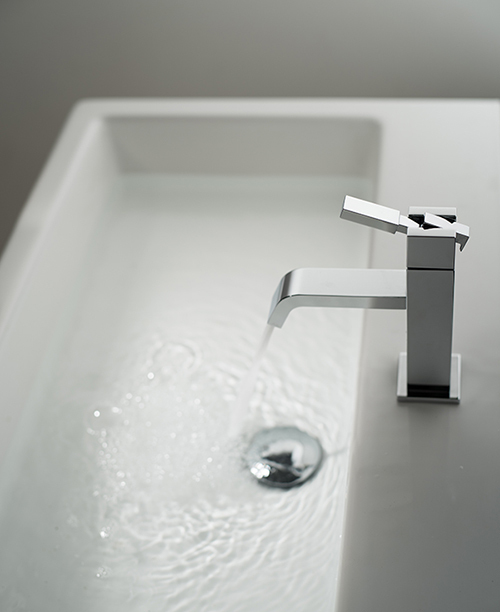 Notion and Geo’s superior deck mounted basin mixers feature low profile, soft-turn cubic handles to provide a striking look when teamed with the harmonised spout. These bold basin mixers are a true design statement for the bathroom. 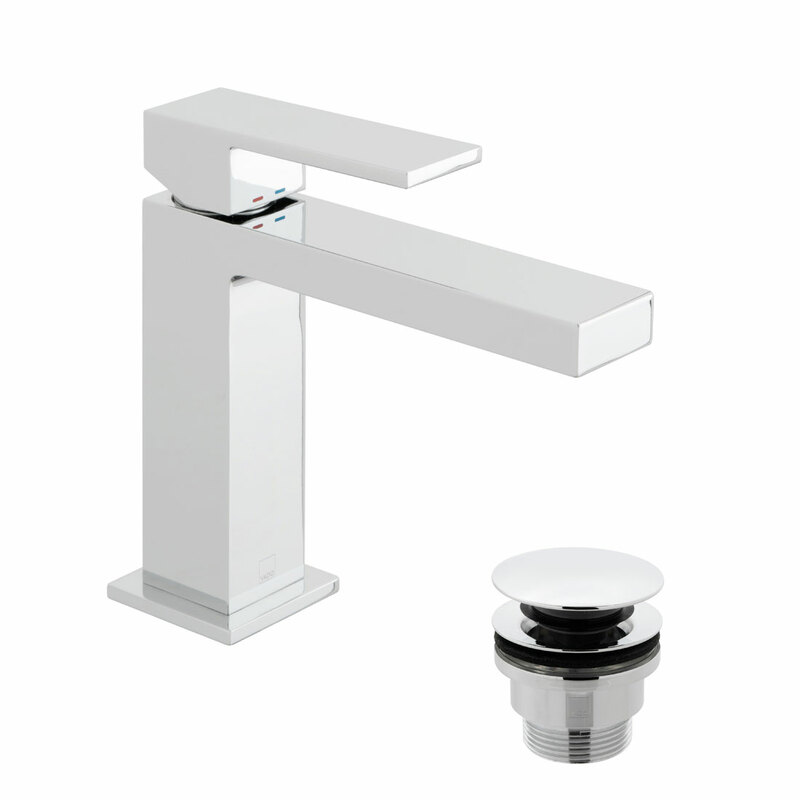 Striking, sophisticated and contemporary, VADO’s stylish slim mixers perfectly complement smaller basins and statement basins alike. Combined with clever storage units, simple colour palettes, single materials and simple design concepts, VADO’s slim mono basin mixers are the ideal choice for helping to achieve a minimalist look.